The Roero is a predominantly hilly territory located between the plains of rivers Tanaro and Po, in the northwest part of the province of Cuneo. It consists of 22 municipalities and it occupies an area of about 346 square kilometres. The Roero can be defined as a singular example of the internal borderland of Piedmont, the result of the interweaving of geographical, geomorphological, and historical situations, as well as of a particular anthropisation process, strongly influenced by the events of the great history. The area belonging to the Tanaro basin, represented above all by the high basin of the Borbore torrent, a tributary of the Tanaro in Asti, has been inhabited since prehistoric times and, for this reason, preserves a large number of examples of the presence of man, from the villages, to the castles, to the division of agricultural properties. 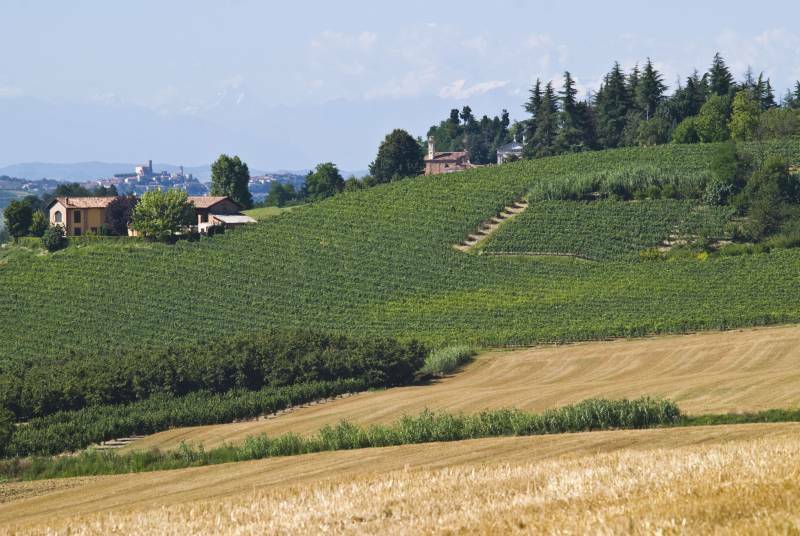 The hilly slopes of the Tanaro basin are characterized by vineyards and fruit trees. 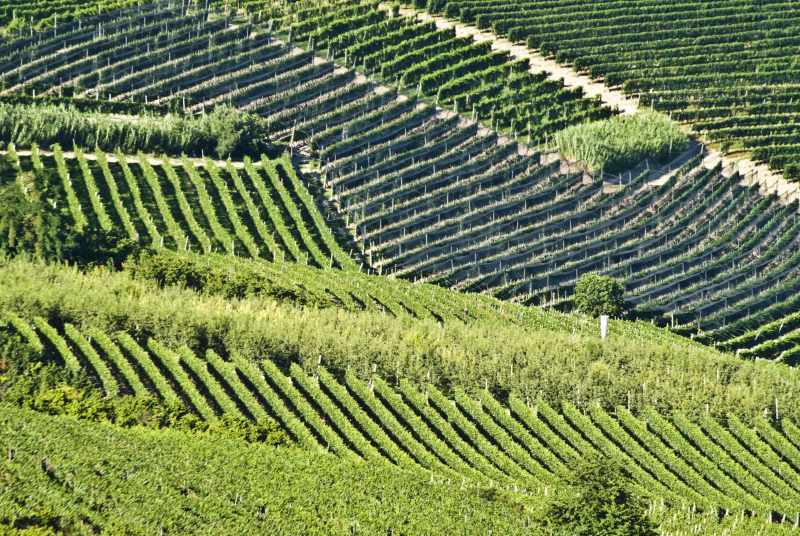 Local quality products are the peaches, near Canale; the Madernassa pear, between Guarene and Vezza d’Alba, the strawberries in Sommariva Perno and, in the whole territory, the fine Piedmonts hazelnut. Relevant horticultural productions are also present on the left bank of the river, in the territories of Guarene, Castagnito and Govone. The area belonging to the Po basin is characterized by a grandiose natural landscape that includes the “fortresses” and is covered by woods. The “fortresses” are geological conformations produced by soil erosion, an action that led to the formation of deep valleys, peaks, pinnacles and gorges. The fortresses cross the whole territory, from the city of Pocapaglia to the city of Montà, with a south-west to north-east direction. This area has been populated by man over the centuries, but only near the few passages left free by nature, which allowed the crossing of this territory. As a consequence, the buildings meant to defend the settlements and control the minor communications roads that crossed this area were built. In this vast wooded area of the “rocche” the presence of Scots pine, a characteristic wood of Roero, was very consistent. The agricultural activity was very limited and restricted to the harvesting of forest products, a factor that reduced the development of human settlements and preserved the natural appearance of the area. The “rocche” are hills shaped by nature in an extraordinary way to form peaks, pinnacles, and deep valleys, dug almost vertically. All this is completed by a luxuriant vegetation of almost magical woods, which have found their place in fantastic tales and popular legends. This is the territory of the “masche”. The masche were witches, whose origin can be found in tradition and in popular belief. Sometimes they were old women with an unpleasant appearance, while sometimes they were young and attractive. They were held accountable for negative and inexplicable events. The fear of their supernatural powers was strongly rooted in people, so much as to condition their daily habits and gestures: they avoided certain places considered meeting points for the masche; the objects that attracted the attention of the masche were not left unattended; people tried to protect their homes and their children in all ways and with all the devices that, according to popular belief, could counteract their actions.